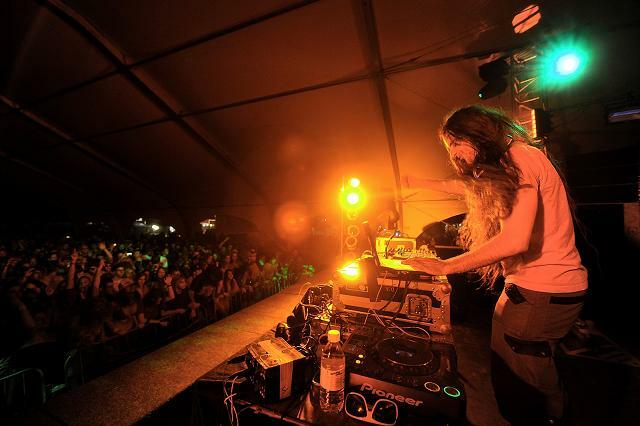 Bassnectar bootlegging biznis is back with huuuuge remix of Metallica's Seek and Destroy. Easily, one of the best remixes from Lorin ever. Super fat crunky bassline and totally sick drums shift Metallica's song to the level the old heavy-metal dinosaurs would have never imagined (I hope someone sent them this stuff). Apparently, this is another successful episode in the famous series of Bassnectar Tour's secret weapons launched during his gigs. I use the term 'apparently' as Lorin (stereotype mode on) sometimes behaves like a typical American who thinks that only America is worth exploring and that we in Europe wouldn't be interested in seeing Bassnectar performing live in some city next to us (stereotype mode off). Believe me Lorin it's not true :) I hope you're not afraid of flying across the pond? !